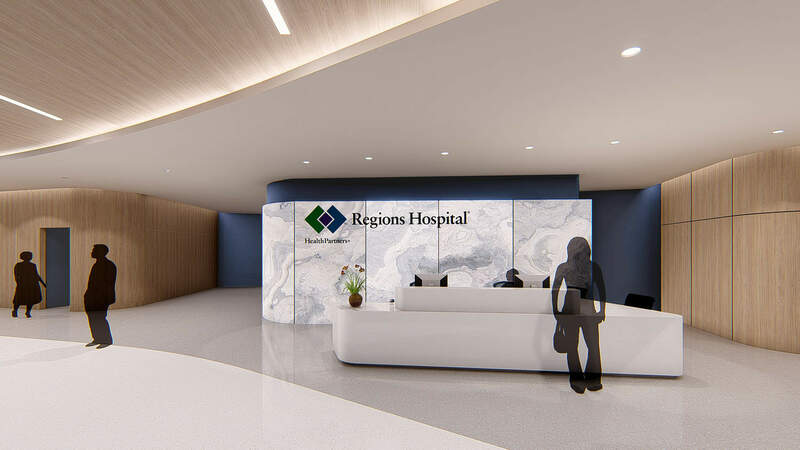 Designed to comfort mothers, babies, and families, alike, the new Regions Hospital Family Birth Center will offer the latest care choices within a supportive environment that emulates the hospitality market. 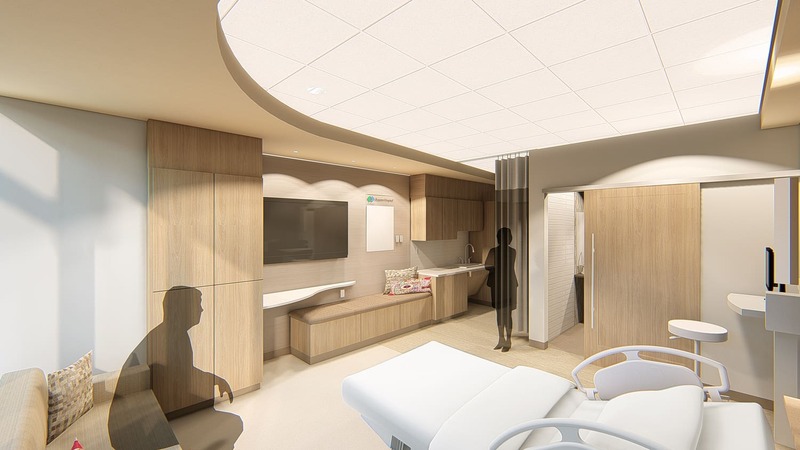 By working closely with HealthPartners and Regions Hospital care providers in the planning process, the team optimized a birth center design that resonates with the multicultural desires of urban Millennial mothers in the Twin Cities. 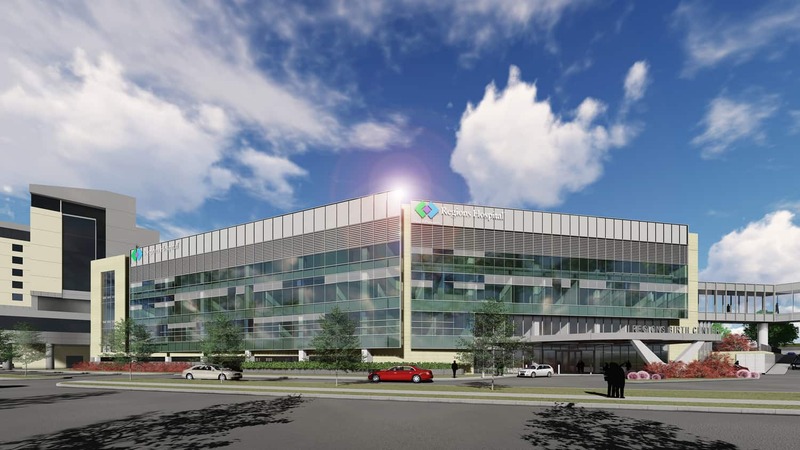 To provide a more family-centered approach to health care, Regions will be among the first hospitals in the Midwestern region to offer enhanced couplet care rooms — a progressive birthing model that allows mother and baby to remain together in the same room, even when special needs, such as Level III NICU status, are involved. 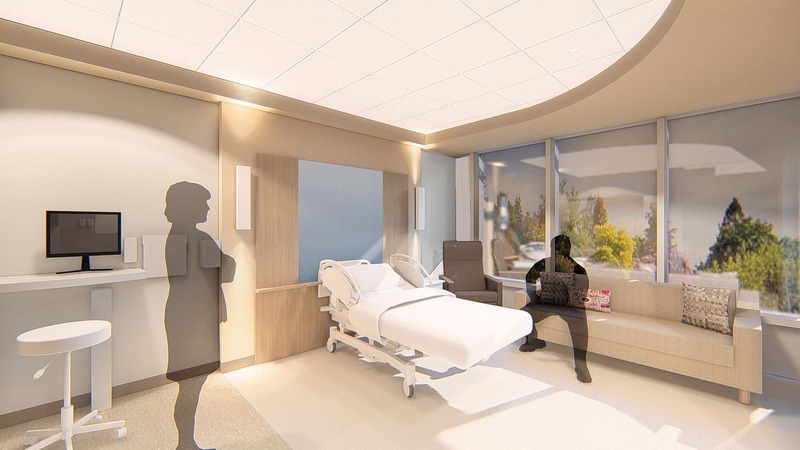 These rooms will be more flexible to accommodate multiple births as well as larger and culturally diverse families. 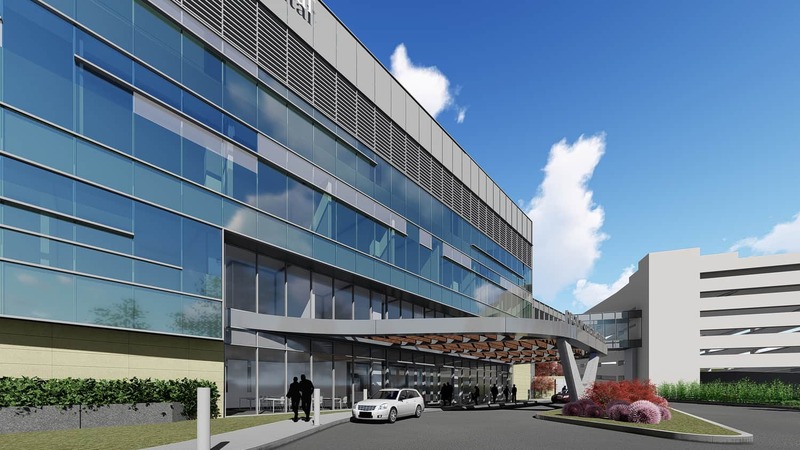 Dedicated staff education and simulation facilities are a key part of the center’s cross-training commitment as enhanced models of care are implemented. Industry research and interactive room mock-ups heavily informed the design. 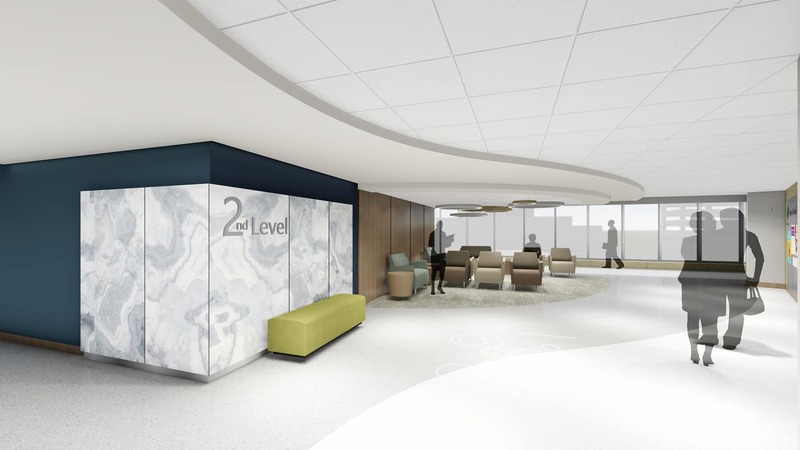 Clean, fresh finishes pair a modern color scheme with geometric patterns to enhance wayfinding without overstimulation. 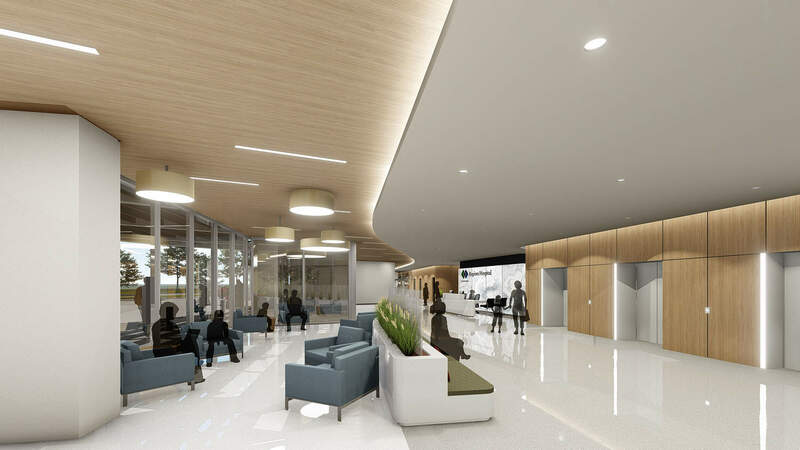 Features such as signage translated in seven languages, healthy food options in the cafeteria, and meditation spaces aid in the comfort of sometimes stressful situations. 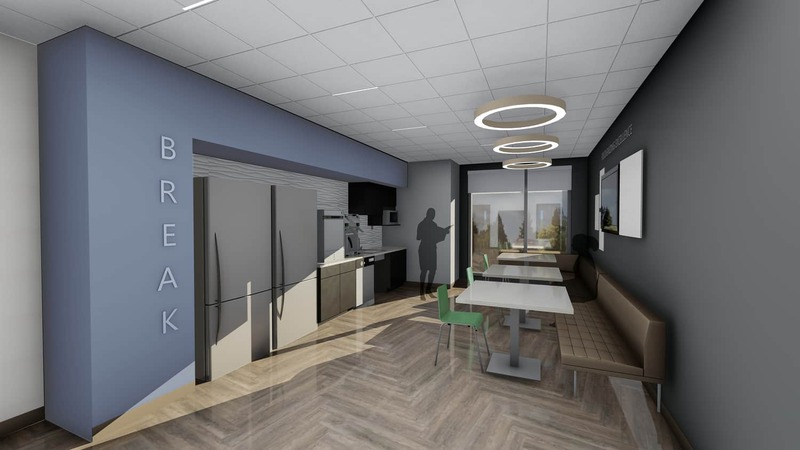 Staff experience similar soothing touches in break rooms, lactation spaces, and accessible, gender-neutral amenities.